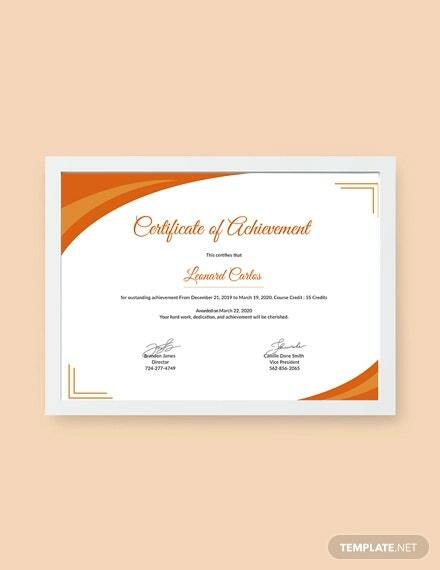 Individuals receive certificates of achievement upon the completion of a task in which the person has done particularly well in or has achieved a course on a certain topic. This certificate is not a substitute for diplomas but can boost a person’s resume or the school record of a child. However, these can highly motivate individuals to reach for goals. You may also see Sample Certficate Templates. 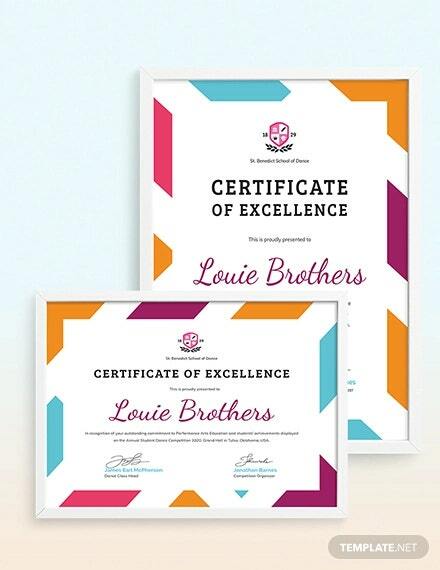 We have scoured the Internet for the best Certificate Template to declare a person’s excellence in achieving a task or study. All our templates are free and easy to personalize. 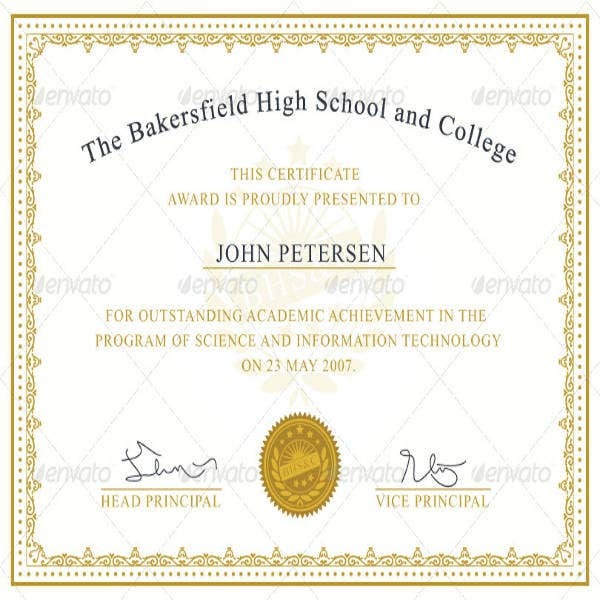 Choose from any of our templates for a professionally formatted and well-designed certificates. Certificates of achievement can be accorded for so many reasons. We will talk you through the different templates we have in this article and how you could use them. Certificate of Academic Achievement. These certificates are given to students who have undergone a short but concentrated course on different subject matters, be it for undergraduate or postgraduate level. These certificates do not amount to a degree but may transfer the credits accrued from this certificate for an entry to another school. 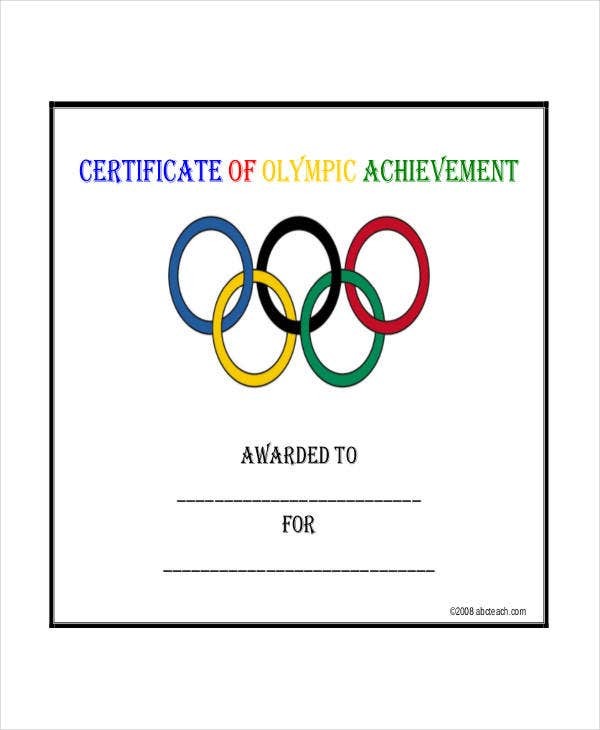 Certificate of Sports Achievement. 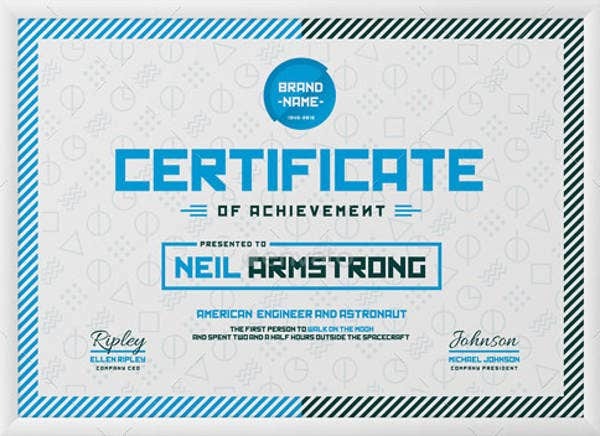 This certificate is given to individuals or teams who have excelled in their sport. This is highly important to children and at the same time amateurs who are just starting with the sport to maintain their record or push for a better one. Certificate of Outstanding Achievement. 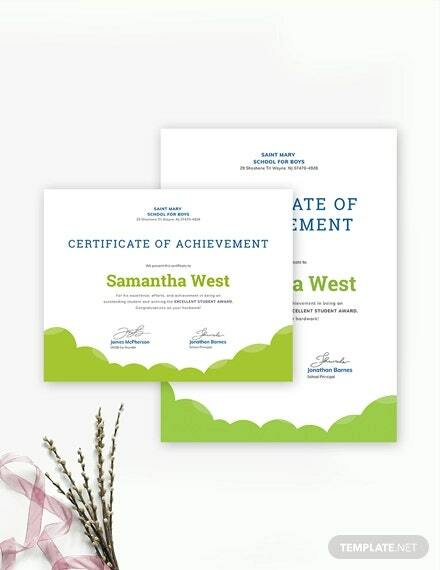 Certificates can also be given to people or groups who have exhibited impressive work in their fields and have been an inspiration for fellow individuals to achieve higher standards. This can also work the same for those in the academic field. 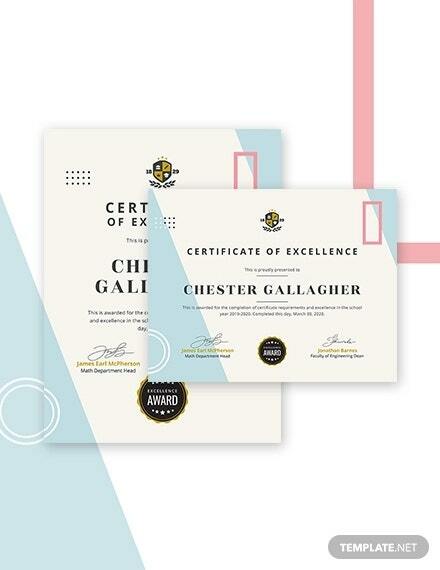 All these certificate templates can be used interchangeably with the Award Certificate Template. 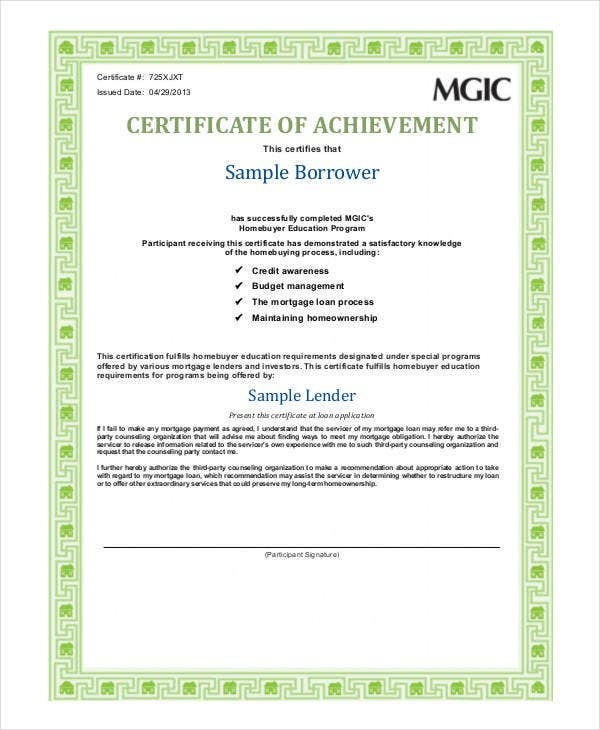 For more template options, have a look at our Scholarship Certificate Templates page. 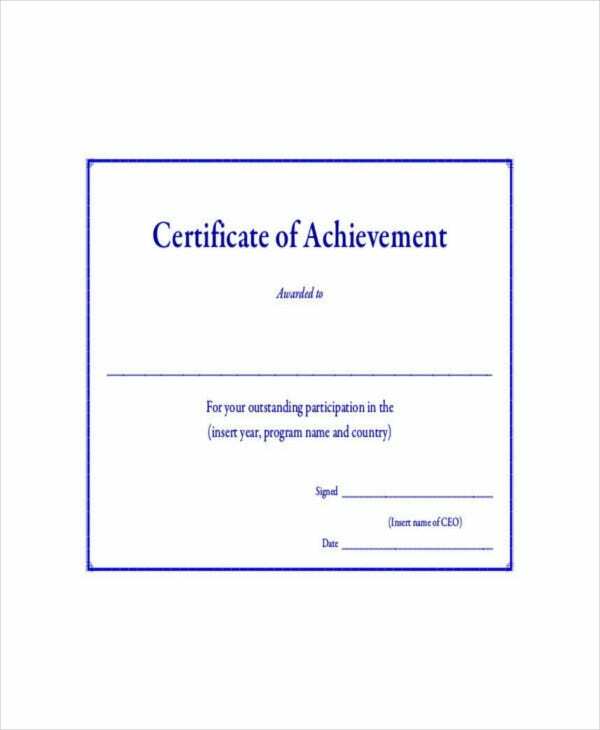 Certificates of achievement can be used to motivate individuals to produce a more than satisfactory output. To inspire people to do good at what they do, an award for doing so must be expected at the end of a certain time period. For an individual to undergo additional training or education either required by the school or company or for personal improvement, this shows commitment for the pursuit of higher learning or for personal and professional excellence. And these efforts will be granted with a certificate that can allow them access to better institutions or higher ranking at work. 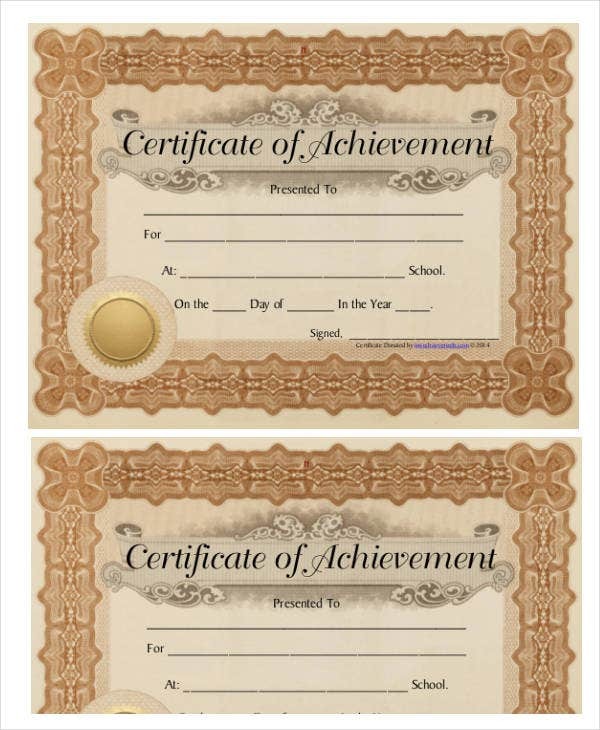 Certificates of achievement add to a person’s credentials. These certificates can be used to substantiate a person’s eligibility for a position in a company or to advance their careers. 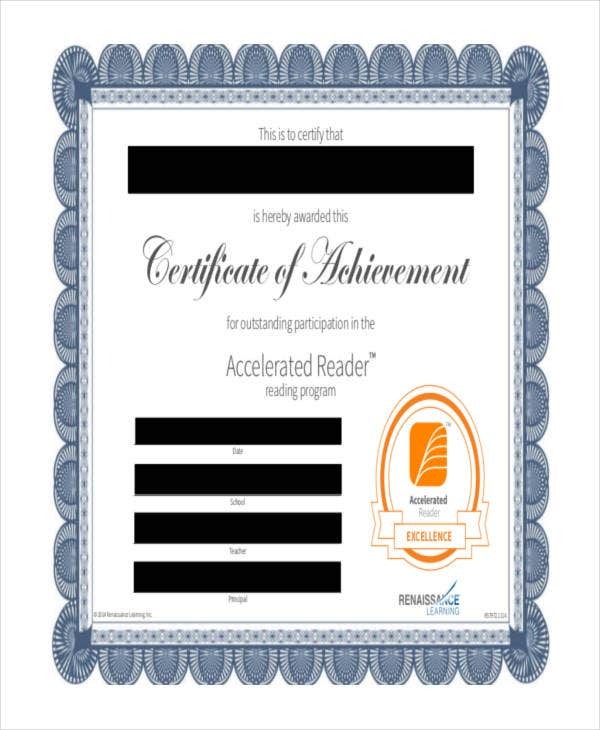 This certificate is also required by some schools (mostly private) to determine a student’s readiness to take on the curriculum. Certifications of a highly specialized skill or of leadership work best for these circumstances. We have more certificate templates on our website, like our Retirement Certificate Templates section. 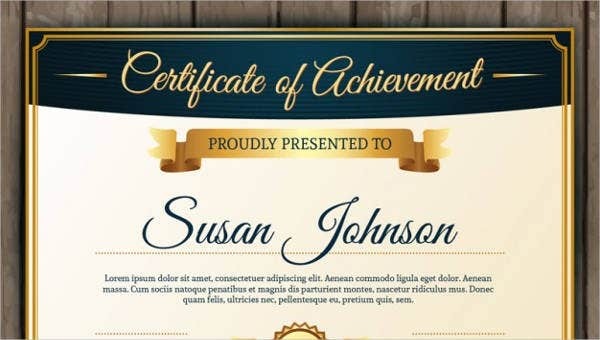 Check them out for more free and printable certificates.